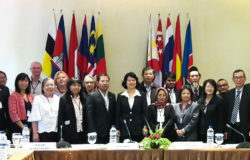 BALI, Indonesia – The Association of Southeast Asian Nations (ASEAN) have put forward specific regional strategies for advancing climate change related joint responses in the agriculture sector through the ASEAN Technical Working Group on Agricultural Research and Development (ATWGARD). 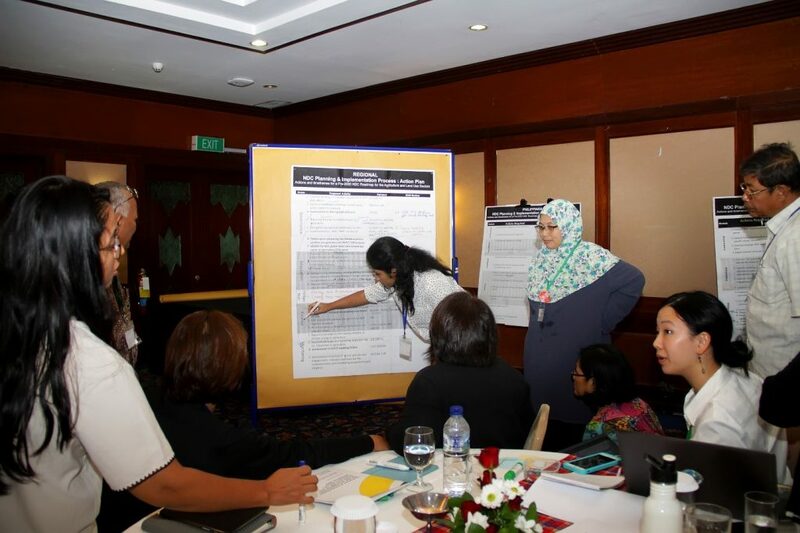 The strategies, which are meant to support each country’s Nationally Determined Contributions (NDC) planning and implementation, were developed through the collaborative work of representatives from the ASEAN member states (AMS) and development partners present during the 4th ASEAN Climate Resilience Network (ASEAN-CRN) Meeting held last 25 April 2018 in Bali, Indonesia. 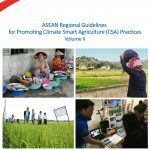 The proposed activities, dubbed as the ASEAN-CRN Climate Action Plan on the Food, Agriculture and Forestry (FAF) Sectors, were presented to the ATWGARD during its 13th meeting on 26-27 April 2018 in Bali by Dr. Margaret Yoovatana, representing the Thailand Department of Agriculture (DOA), which currently holds ASEAN-CRN chairmanship. 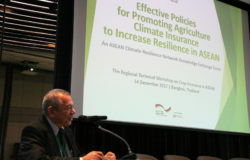 According to Dr. Yoovatana, the endorsement of the action plan to the ATWGARD in support of the NDC is the ideal step forward for the ASEAN-CRN to advance climate change related elements of the FAF and ensure wider support to ASEAN-CRN plans for climate action in agriculture. The action plan focused on the five areas of governance, adaptation, mitigation, finance and monitoring. 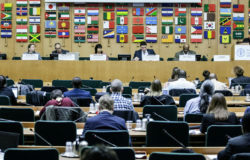 Among the strategies identified were regional knowledge exchanges on climate smart agriculture (CSA), adaptation and mitigation planning and implementation, as well as on tools for monitoring agriculture and ecosystem based adaptation. In terms of governance, AMS representatives identified regional policies for monitoring and strategies that strengthen engagement with the civil and private sectors, particularly for scaling up CSA activities. Moreover, to meet the need for financing these activities, it was recommended that a regional proposal should be developed for NDC priority financing and investment pipelines, as well as micro grants for CSA and agriculture in general. To further accelerate the implementation of the action plan, ASEAN-CRN development partners who participated in the meeting expressed their commitment to lead or support the aforementioned activities. Among them are the United Nations Food and Agriculture Organization (UN-FAO), ASEAN-German Programme on Response to Climate Change, Agriculture and Forestry (GAP-CC), CGIAR Research Program on Climate Change, Agriculture and Food Security (CCAFS), International Center for Tropical Agriculture (CIAT), Asian Partnership for the Development of Human Resources in Rural Asia (Asia DHRRA), Women Organizing for Change in Agriculture and Natural Resource Management (WOCAN), and Center for People and Forests (RECOFTC), among others. The support of the ATWGARD and other relevant ASEAN working groups towards the NDC process can help make agriculture a priority in NDC implementation and support, said Mr. Beau Damen of the FAO Regional Office for Asia and the Pacific. In his presentation during the meeting, Mr. Damen explained that the NDC is a key planning document for future climate change action and is a commitment made by governments under the Paris Agreement of the United Nations Framework Convention on Climate Change (UNFCCC). He further highlighted that ASEAN’s support to NDCs can facilitate regional dialogue, as well as the design of regional technical programs to address common interests, including CSA. Mr. Damen led the workshop activities during the meeting, together with Ms. Imelda Bacudo, head of the GIZ Forestry and Climate Change Project (GIZ FOR-CC). Along the same lines, Dr. Helmut Dotzauer, outgoing head of GIZ FOR-CC, stressed in his opening remarks that a joint ASEAN response towards climate change is only fitting and even necessary because climate change does not recognize borders and affects all countries. For this, he acknowledged the hard work of the members of the ASEAN-CRN and the ASEAN Secretariat, for facilitating such initiatives. During the meeting, participants were also able to map out how close or far away their work is from their country’s NDC process. AMS representatives from Indonesia, Thailand, Vietnam, Singapore, Malaysia, Philippines, Myanmar and Cambodia also refined their country’s action plans for NDC planning and implementation. Through the agreements made during the meeting, the ASEAN-CRN is able to continue advancing climate change related joint responses in the agriculture sector. Furthermore, it ensured that the ASEAN CRN’s work plan and its members’ work can be integrated to and be able to influence their NDCs. 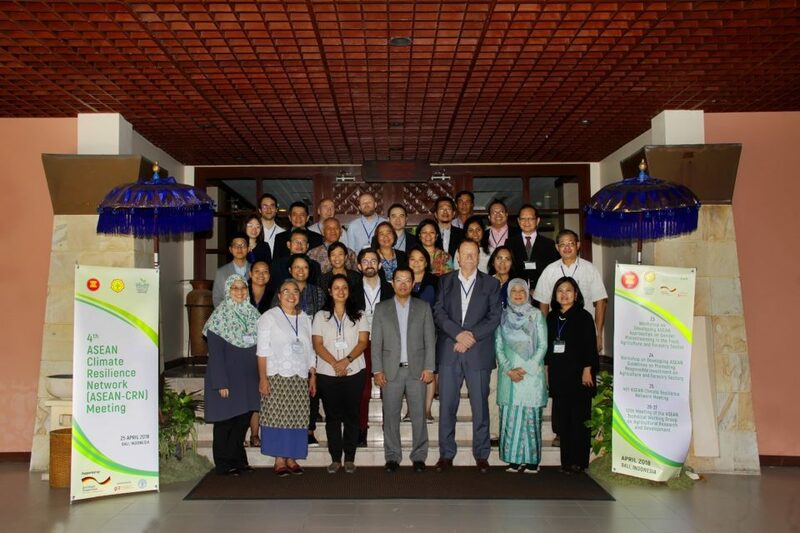 The 4th ASEAN-CRN Meeting was co-organized by the ASEAN-CRN, the Indonesian Agency for Agriculture Research and Development, the UN-FAO Regional Asia Pacific Office and the GIZ FOR-CC under GAP-CC, with the support of the ASEAN Secretariat.